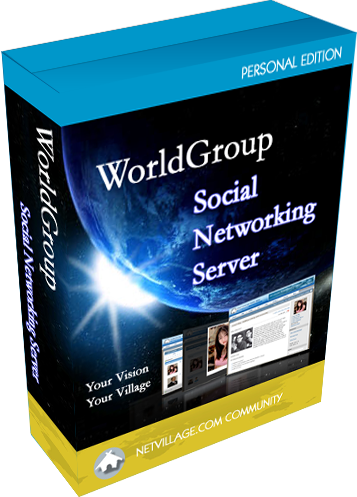 Incorporate the best features of a Facebook script, Twitter service, and other social media solutions. Running a netVillage is like running your own Facebook clone. You can offer your customers a full menu of interactive services - discussion boards, shared document libraries, blogs, micro-blogs, profiles, calendars, photo galleries, video catalogs, auctions, classifieds, personals, polls, stores, databases, private community e-mail, facebook-like friend feeds, twitter-style updates, databases, private spam-free community e-mail, and much, much more. We even have things not seen on Facebook or MySpace, such as real-time chat rooms! In fact, there's no one that even comes close to offering as many plug-and-play applications under one roof. Moreover, all applications are e-commerce enabled and completely integrated with our user management system and monetization system - giving you the abilitly to make money from your social network. Best of all, you can have this up and running on your own computer, in your house, in a few minutes. We swear, its true. Run a Facebook clone from your basement or home office. Of course, you can have us run it for you, on our computers, but we know many want to be in complete control of their social web and do not want it operated by another service in the cloud. That is why we made it a simple install. No more complicated than installing an Instant Messenger. You do not have to install an Apache web server, or MYSQL database, or anything else. Just load and go! Run your Social Network from your basement!